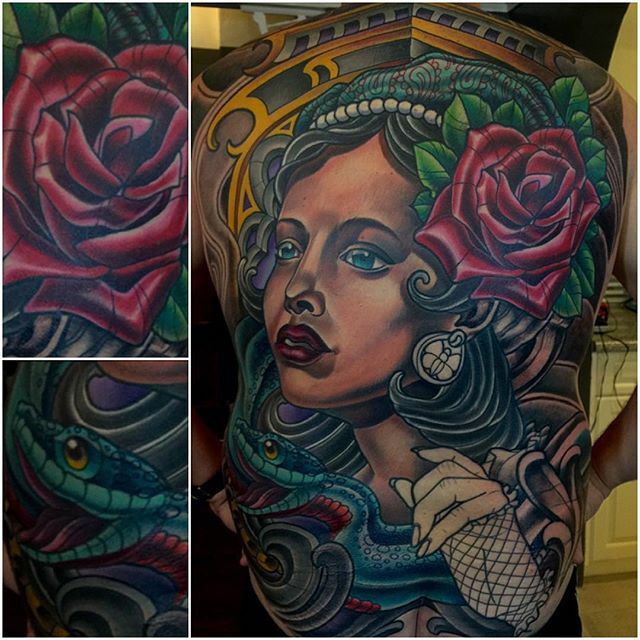 Huge custom ornate back piece by Terry Ribera. This truly showcases what Terry can do with a needle and some creativity. Large and in charge full-color full back display.